Alison recently filmed the feature GUARDIANS OF THE GALAXY and ESIOT TROTT for Endor. 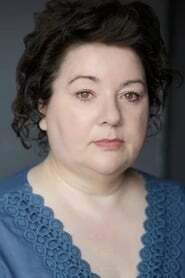 She appeared in the role of Rita in LINE OF DUTY for World Productions/BBC and other TV includes DOCTORS and HOLBY CITY for the BBC; Grace (regular) in CAMPUS for Monicker/Channel 4; SHERLOCK - THE GREAT GAME for Hartswood/BBC; THE SILENCE for the BBC; THE TUDORS for BBC; PSYCHOVILLE (regular) for BBC; LAW & ORDER for Kudos; LITTLE DORRIT for the BBC and WIRE IN THE BLOOD for Coastal/ITV. as "Sad Woman with Horns"